Oviedo Truck Accident Attorney Firm Securing Compensation for clients Injured in Oviedo and surrounding areas. Accidents involving semi-trucks or commercial trucks are some of the most devastating vehicle accidents that happen on the road today, given the immense size and force of a large commercial truck compared to the smaller passenger vehicles on the road. The catastrophic injuries and death caused by trucking accidents permanently affect the victims and their families, and when an accident occurs with a semi-truck you need a law firm that will give your case the personalized attention it deserves. At The Benenati Law Firm, we promise to provide experienced and aggressive representation for your truck accident case with dedicated attention that the larger law firms cannot provide. Semi-truck and commercial trucking accidents happen for a number of reasons, including distracted driving, driving while fatigued, driving under the influence, equipment failure, and improperly loaded cargo. When an accident does happen, the results can be devastating. Oftentimes, the injuries sustained in truck accidents require years of rehabilitation and therapy or a lifetime of personalized care. Many victims of trucking accidents are unable to return to their jobs, and while you are trying to rebuild your life after an accident the insurers for the trucking companies are figuring out how to pay you as little as possible for your claims. You need an experienced personal injury attorney on your side to ensure that you are fully compensated for your claims with a settlement that will provide for you and your loved ones for years to come. Commercial trucking accidents cause catastrophic injuries and death for the victims involved, resulting in incredibly expensive medical bills, lost wages, disability, and pain. In the worst case scenarios, families are also left with massive bills for funeral and burial costs in addition to other expenses for their loved ones. The entire situation can be physically, emotionally, and financially devastating for everyone that a truck accident touches. The Benenati Law Firm shoulders the responsibility of the legal case so that you can focus on your recovery. We open an investigation into the accident, gathering evidence and recreating the scene to build the best possible case for your compensation. We consult with outside experts such as accountants, doctors, vocational experts, and more to fully understand the scope of your damages. We fight the insurance companies so you don’t have to, managing all communication and negotiation for a settlement that will fully cover the cost of your injuries. And if the insurers will not offer a full and fair settlement, we are not afraid to take your case to court. If you would like to learn more about how the Benenati Law Firm can provide top tier representation for your truck accident case, call or contact us online today. 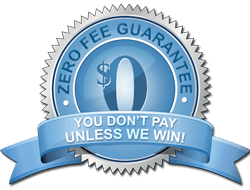 We will provide you with a free, zero obligation consultation of your case and outline how our firm will fight to ensure that you get the compensation you deserve for your claims.